Bend3D™ additively manufactured press brake tools work well as forming tools, air-bending tools and mark-free bending solutions. Best suited for low-run jobs and longer running jobs of up to 1000 hits or more depending on the application. Materials 14-gauge cold rolled or thinner tend to be best suited and tooling is available with a lead-time measured in days at lower cost. 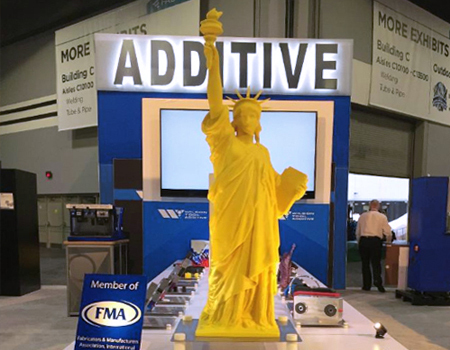 Read this editor’s first-hand reaction to the Wilson Tool Additive™ launch at FABTECH® 2018. Click through for her recap of our booth and Day One of the big event. Explore the possibilities of Additive Manufacturing, from the Bend3D™ line of press brake tooling to the Solv3D™ line of creative support parts. See how you can have made-to-order tooling and widgets in hours — not days — saving you time and money. 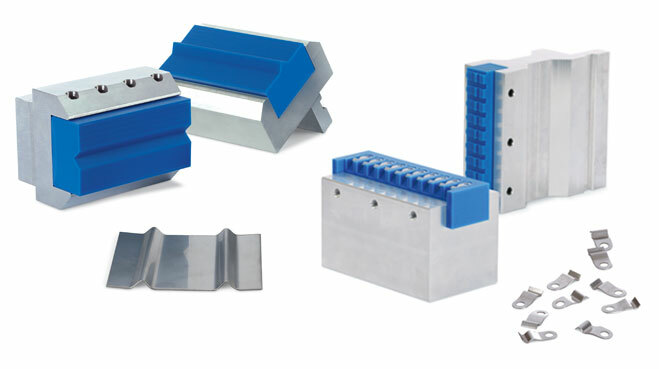 Need a custom press brake tool? Additive manufacturing is transforming the custom brake tooling industry. 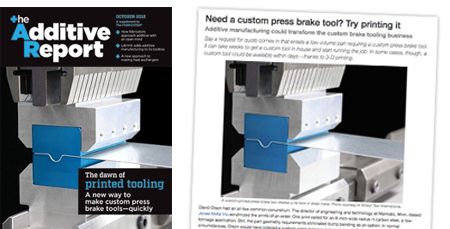 This article in the Fabricators & Manufacturers Association's new publication, The Additive Report, features the industry changing approach that Wilson Tool is taking to additively manufacture press brake tools and end-user parts. Additive manufacturing is constantly evolving, making breakthroughs with materials and processes on a constant basis. Don’t want to miss out? Sign up to receive the latest updates. Now that you know more about Additive manufacturing — and how it offers time and money savings to your company — you’ll want to get serious about starting a project. Let us know what you have in mind. We can’t wait to start working together!